UCL and the Institute of Education (IOE) have today confirmed that they will be merging with effect from 2 December. The merger will create a new institution with over 35,000 students, confirming UCL as the biggest higher education institution in London, and the largest postgraduate institution in the UK, with 19,000 postgraduate students. It will have over 11,000 staff and a combined income of over £1bn. UCL and the IOE embarked on a strategic partnership in October 2012, and then announced in February this year the opening of a consultation on a formal merger, which both institutions' Councils have now formally approved. The IOE Council has today given final approval to the merger, and initiated steps to formally rescind the IOE's Royal Charter, granted in 1987. The IOE will join UCL as a single Faculty School, to be known as the UCL Institute of Education. While the merger formally comes into being on 2 December, the process of change will continue throughout 2014/15. Both UCL and the IOE have confirmed that there will be no redundancies at either institution as a result of the merger. The IOE was ranked number one institution worldwide for Education in the QS 2014 World University Rankings and recognised by Ofsted for its 'outstanding' teacher training across primary, secondary and further education. UCL was the first university to act as sole sponsor of a secondary school, the UCL Academy, which opened in Camden in 2012. The merger will therefore enable two institutions with complementary strengths to pool expertise and support improved delivery of teacher training and ultimately pupil attainment in London. Another key outcome of the merger is that five UK birth cohort studies will be housed together for the first time, forming the largest concentration of global expertise in this field. Findings from the studies have contributed to many of the most important social and medical insights of recent decades and helped to shape decision making in policy areas such as education, employment, housing and health. Having all five birth cohort studies within one organisation will allow for more interaction and better sharing of ideas and best practice, opening the doors for more robust cross-generational and cross-cohort research. Professor Michael Arthur, UCL President & Provost, said: "This is an exciting moment and one of the most significant events in UCL's history. The driver behind this proposal is academic, prompted by the sense that the world-leading research undertaken by the IOE was highly complementary to many areas of work undertaken by UCL. "There is genuine excitement within both institutions as we believe this planned merger will deliver significant advances in the fields of social science and education, whilst further advancing the work both universities undertake to develop education across London. In a period of growing global competition in higher education, this merger will enable us to position ourselves even more clearly as a global leader in this field." Professor Chris Husbands, Director of the UCL Institute of Education, said: "For over a century, the IOE has been leading education and social research and development in the UK and internationally. The merger with UCL offers the IOE huge prizes: the opportunity to extend global influence, to work with our traditional stakeholders in schools and colleges in new and more imaginative ways, and the chance to build cross-disciplinary work across the full range of higher education. 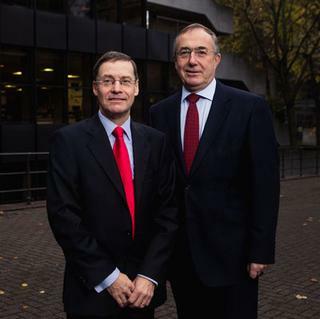 The merger will help to secure the IOE's lasting influence and mission." Boris Johnson, Mayor of London, said: "This bold move by one of the world's greatest universities and an international leader in education and social science will ensure they continue to lead the way on the world's higher education stage. With international competition to attract the brightest students from around the world this significant merger will also further reinforce London's status as a global leader in higher education."